Clun Valley Blacksmiths where reclaimed becomes art. We believe that everything has a hidden beauty just waiting to shine, be this ideas or people, which is why we are committed to the development of both. So if that unique sculpture you have always wanted in your garden or that one off bowl for your dining room table is your idea then we can help it come to life by helping you get from the design stage’s to final finish and Installation. We strongly believe that anything is possible and if it is then it should be possible using reclaimed materials, although reaching 100% reclaimed in a project is a challenge in itself we strive to do the best we can when turning the unwanted into the wanted and we think it reflects in our works. 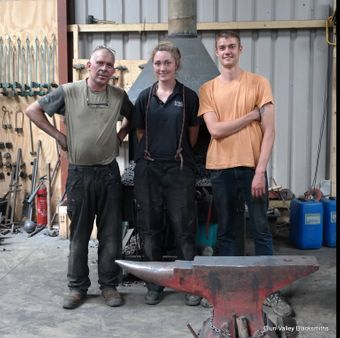 Welcome to Clun Valley Blacksmiths, where ideas come to life!